This religious charm is a Botonee cross. The cutout Greek cross dangle charm is metal and measures 0.79" tall. 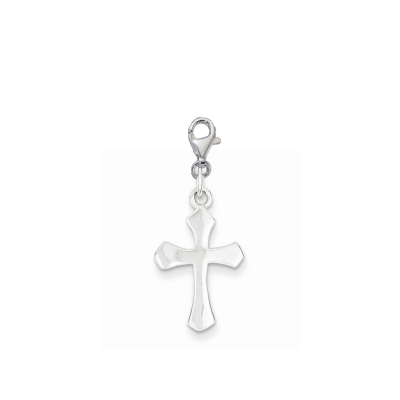 The Botonee cross charm includes a lobster style clasp to attach it with. This cross historically has also been known as the passion cross.